CATCH 22 'MEGAN HURLEY FOUNDATION' FUNDRAISER. During August 2018, Kieran Hindley, Megan's boyfriend & his fellow NCS Wave 5 Team 2 friends decided to raise money for The Megan Hurley Foundation, a cause close to Kieran's heart. 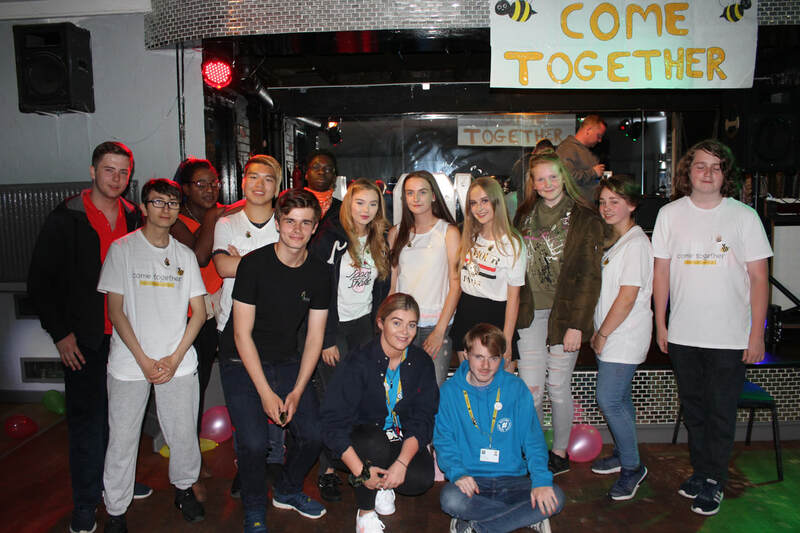 A charity night & a cake sale later the group raised a staggering amount of money for the Megan Hurley Foundation. Huge thanks to Kieran Hindley, Kate-Leigh Noble, Erin McDermott, Lydia Butler, Sam Doran, Lydia Prescott, Ife Philips, Blessings Chalemba, Kerry Taylor, Georgia Brookes, Tim Huang, Adam Jones & Luke Done as well as team leaders Lucy Glenn & John Dixon who all received their own 'Megan Hurley pin' for their fundraising efforts. To find out how to fundraise & get your own, click here.